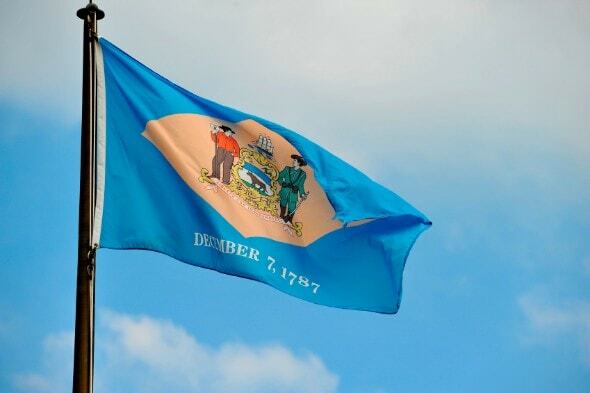 Delaware is known as a tax haven, but even residents of the First State aren’t exempt from taxes. There are seven tax brackets in the state and the highest income tax rate is 6.6%. There is also local income tax in Wilmington. When you get paid, your employer takes out income taxes from your paycheck. This includes federal income taxes (which the IRS puts toward your annual income taxes) and FICA taxes (which fund Social Security and Medicare). For Delaware residents, it also includes state income taxes, as well as local taxes for people who live or work in Wilmington. Your employer uses the information you filled out on your W-4 to figure out how much should be withheld from each of your paychecks. Withholding amounts changed in early 2018 because of the new tax bill signed by President Trump. If you haven’t already, make sure to check your W-4 and ensure that you’re still claiming the right number of allowances. Your marital status is one of many factors that will affect how much is taken out in federal taxes. If you’re single or married and filing separately, your taxes are different than if you decide to file with your spouse or declare that you’re the head of household. If you are eligible for different allowances, you might end up with a bigger paycheck. Things like having dependents or qualifying as head of household may increase how many allowances you can claim and save you some cash. Keep in mind, though, that you may end up paying more taxes when filing in April if you claim too many allowances. If you have more than one job, remember that you cannot claim the same number of allowances with all employers. If, for instance, you have two jobs, you can either divide your allowances up between those jobs or take all your allowances at one job and none at the other. Your employer is also responsible for withholding FICA taxes from your wages. These are Social Security and Medicare taxes and they are withheld at rates of 6.2% and 1.45% of your wages. The total contributions that the federal government requires to Social Security and Medicare are double that amount, but your employer pays the other half. Any wages you earn in excess of $200,000 are also subject to a 0.9% Medicare surtax, which employers do not match. If you are self-employed, you have to pay the self-employment tax, which is equal to the full 12.4% in Social Security taxes and 2.9% in Medicare taxes. Your marital status doesn’t affect state taxes in Delaware since the income tax brackets are the same regardless of your filing status. If you make $2,000 or less in taxable income, you don’t have to pay any state taxes. If you make between $2,000 and $5,000 the tax rate is 2.2%; up to $10,000 it’s 3.9%; up to $20,000 it’s 4.8%; up to $25,000 it’s 5.2%; up to $60,000 it’s 5.55% and over $60,000 it’s 6.6%. If you live or work in the city of Wilmington, you also have to pay a 1.25% local income tax, also known as the City Wage Tax. For those considering buying a home in Delaware, our mortgage guide is a great place to start the process of getting a mortgage. With information on rates and the different kinds of loans, this guide puts the mortgage-related info you care about in one place. You can take steps to change the size of your Delaware paycheck. If you can afford it, consider saving more in employer-sponsored retirement accounts such as your 401(k) or 403(b). The amount of each paycheck will go down, but since that money is taken out pre-tax, so will your taxable income. This may even push you into a lower tax bracket. Depending on what your employer offers, you may also have the option of putting some of your paycheck toward benefits like health or life insurance, a health savings account or flexible spending account. If you get hit with a large tax bill each year, you may be claiming too many allowances on your W-4 form. If you claim allowances that you are not actually eligible for, you will be underpaying your taxes all year and you will have to make up that difference during tax season. If you want to withhold more from your paychecks, you can also ask your employer to simply withhold an additional dollar amount. Say, for example, you want to withhold $50 from each paycheck: Simply write that amount on the correct line on a new W-4 form. It might mean you get a smaller paycheck, but you’ll avoid paying a large lump sum when you file your taxes.